The artist Matthew Krishanu talks with Robert Priseman – founder of The Priseman Seabrook Collections – about Matthew’s work, being the child of a Christian Minister, memories and ‘mirror selves’. Robert Priseman: You grew up with mixed heritage parentage and a father who was a Christian Minister. Can you share with us what impact this had on your experience as a child and how it has shaped your view of painting in Britain today? Matthew Krishanu: The main impact I had from my heritage was the sense of always being between countries. I was born in Bradford, UK, then travelled to Bangladesh where I spent my childhood, with annual visits to my mother’s family in India, and long stays in the UK every three years or so. Through these travels I would get a sense of widely varying cultures and norms – this was useful for me as I could somewhat stand apart from them. I always had the feeling of being somewhat outside of each of the cultures. In relation to my father as a priest, this has been a subject for a number of my paintings (my ‘Mission’ series). In these works I attempt to make paintings ‘about religion’ as opposed to making religious paintings. I always felt removed from Christian traditions and so it’s with a sense of detachment that I paint the scenes of my father theatrically adorned in his white robes preaching to Bangladeshi congregations. I find them odd, fascinating scenes. My brother and I used to look in mirrors together and say hello to our mirror selves – as though they lived in another world. When I paint my brother, I remember him as a buffer between me and the world. Perhaps it is this strange sense of safety/vulnerability in my relationship with him that I like to project in my paintings. In terms of painting in Britain today I am interested in the multiplicity of approaches and genres that simultaneously co-exist. I am pleased that painters like Peter Doig and Lynette Yiadom-Boakye have opened up fertile territory in relation to themes of landscape, figuration and memory. 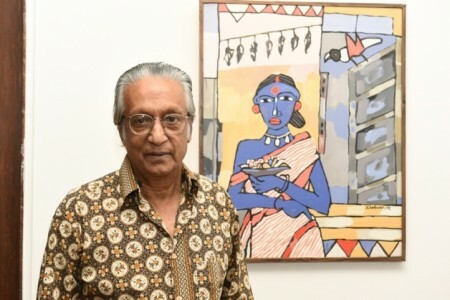 I am interested in exploring my relationship to themes of family (enmeshed with colonial history) in a contemporary painting context and look globally for contemporary inspiration – in particular at contemporary Indian painting for a broader art historical context. Robert: I remember the very first painting of yours I saw, it was titled Two Boys (2012) and is part of your ongoing series ‘Another Country’. 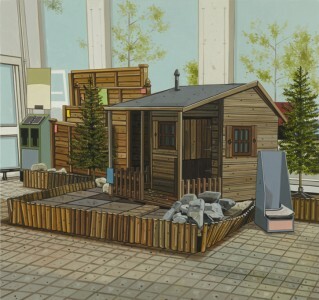 It’s an instantly captivating work which depicts you and your brother when you were growing up. 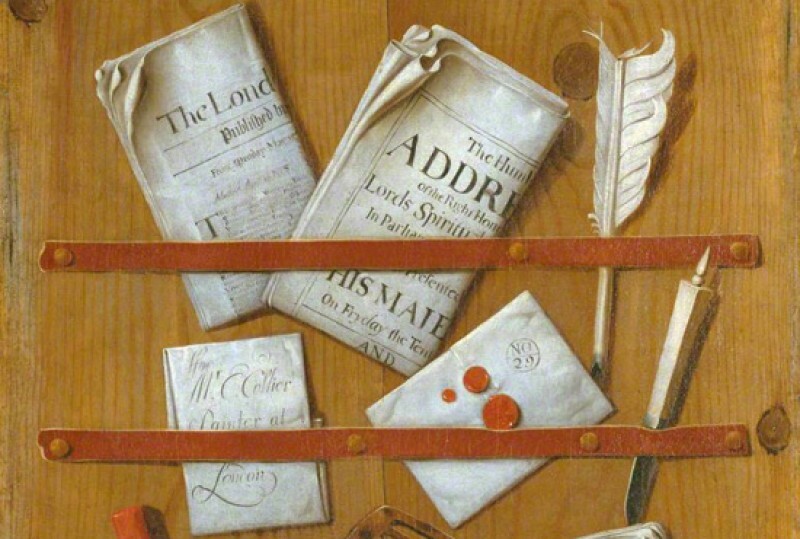 Would you be able to tell us a little more about this painting and the series more broadly? Matthew: Two Boys was the first painting in that series. It’s a small painting (A4, in oils on MDF). I was working from a childhood photograph of my older brother and me, standing in an empty water tank in a compound in Krishnanagar, India. The tower in the background belongs to a church. 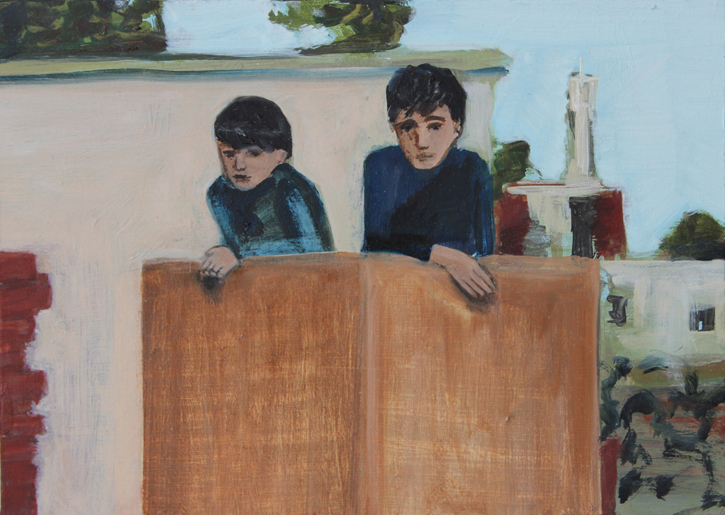 While painting the subject I’d put away the photograph for a couple of sessions (I generally build up in layers of paint, allowing the oils to dry between layers), so used my memory to broadly sketch in the colours, subject and features of the two boys. Later on I looked at the photograph again to refine details, but overall I wanted it to look like another world – not a photographic one, but more a world of paint that you can look in on. The series title ‘Another Country’ arises from the L. P. Hartley line ‘The past is a foreign country; they do things differently there’. I’ve always liked the idea that our past selves continue to exist as if in a foreign land. With that in mind, the paintings are like windows onto the past, animated in paint. Robert: One of my favourite paintings of yours is the small work Boy in Water (2013). It seems so simple on the one hand and yet offers several layers of interpretation on the other. At first we may see it as a fragment of a memory, on another level it could be a comment on growing up and how we must all step out into the larger unknown. Then again it may relate to baptism and the total immersion of the body into purifying water. When you painted this work were you aware of these potential interpretations, or for you is painting something altogether more organic and ‘felt’? 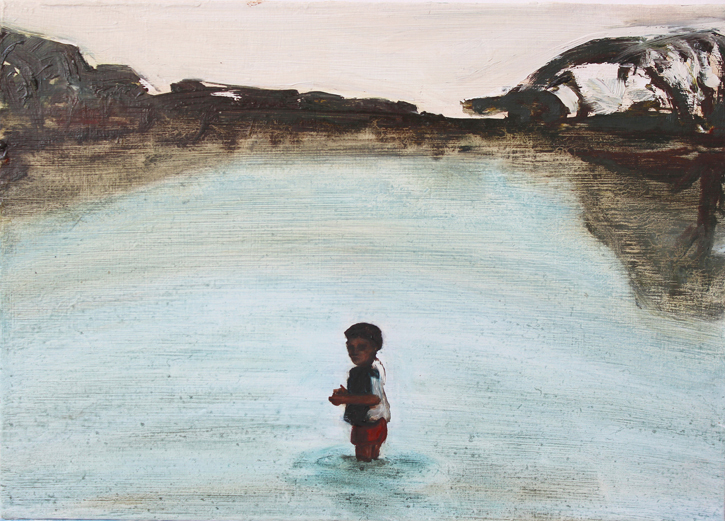 Matthew: Boy in Water is inspired by a photograph of my brother (probably aged five years or so), standing on a bank next to a lake or river in India. I was struck by the atmosphere of the photograph, and felt it would work well as a small painting. While painting the subject I chose to place the figure into the water itself. I was not thinking of baptism as a theme, although I have always loved Doris Ulmann’s haunting photographs of the early twentieth-century of African American baptisms in forests, so the idea was probably in my mental image bank. When I am painting a subject I am primarily thinking about the way in which to approach painting it, rather than the potential (and multiple) readings of a work. With Boy in Water I wanted to contrast the thinned oils of the water with a more sculpturally painted figure. Painting in layers, I wanted the water to be in transparent paint and the boy to be opaque. The background is roughly brushed in, with the sky partly created with a palette knife – a smooth application of paint in contrast to the more fluid oils in the water. Robert: As well as having the potential to be interpreted in different ways, I feel a great painting simultaneously works on several levels. 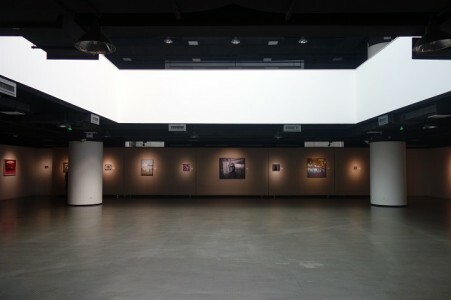 As a technical piece, as a work which communicates with artists of the past, as an object which connects to one’s artistic peer group and as a painting which speaks to a broad public. When we look at your work I am reminded of the French painter Bernard Buffet, only somehow more poetic. Who do you consider to be your influences – both past and present? 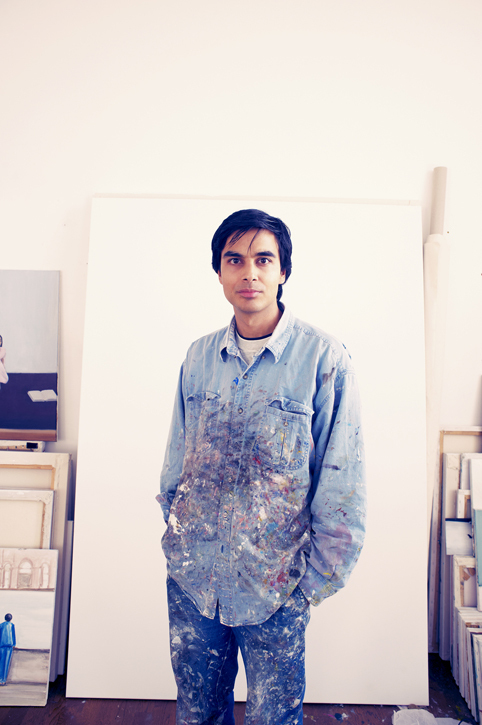 Matthew: I came across Buffet’s work when researching the work of the Indian painter Francis Newton Souza (who is a more definite influence on me). I like both of their direct subject matter, and focus on figure, face and landscape. Overall a combination of narrative and loose application of paint is important to me. Historically speaking, I was struck by the Ajanta cave paintings in South India (I visited them shortly after finishing my BA), which are around 2000 years old. From a similar time, the faces in the beautiful Fayum funerary portraits from Egypt always stay with me (and from the range of faces depicted, I love how cosmopolitan the cities must have been then). In Western painting history, I am drawn to El Greco and was blown away seeing his works collected together at The National Gallery in 2004. In the contemporary sphere, Hurvin Anderson, Karin Mamma Andersson and Chantal Joffe all stand out. Their paint handling is wonderfully free and fluid, and always comes back to a focussed poetry or narrative that I find very striking. Robert: One of the significant secrets of painting is that the best work is produced out of an act of great sensitivity. Each subject selected an immersion into the adored, each composition created an ordering of the favoured and each brush stroke a tender caress. I sense this is especially true when we look at your oeuvre. How true do you feel this to be? 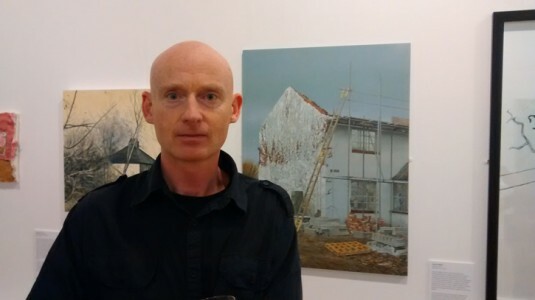 Matthew: I have always found I make my most memorable paintings when I have a close connection to the subject. Partly this is because I draw on memory for the works – if I don’t know the subject personally it’s harder to create a feeling and atmosphere in the piece. In addition to the physical act of painting being a stroke, gesture or smear of paint, I think of the way the viewer beholds a painting. Do they glance at it briefly, or are they drawn in, physically pulled close? I am interested in the relationship the viewer has when they look at a work – whether the viewing is an intimate or distanced act. 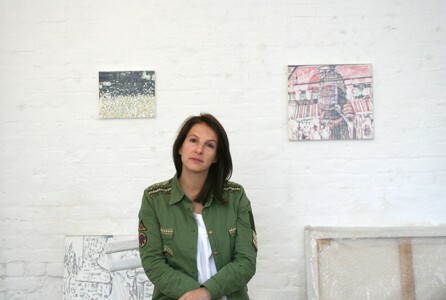 Painting subjects that I have a personal connection to and care about is my invitation to the viewer: to enter the world of the paintings and connect with it in some way. In my next exhibition I am exploring this idea further and the viewer is invited to see the world of the Two Boys as if through their eyes. The priests, expatriates and other figures are emotionally more distanced from us than the two boys, potentially keeping the viewer at bay. Robert: Psychoanalysts such as Marion Milner and Donald Winnicott argue that we experience the world directly through our emotions. We then process these slowly and intellectually to come to some kind of understanding of our place within it. In 1953 Winnicott coined the term ‘transitional object’ to describe the blankets and soft toys children often develop intense attachments to. Subsequent theorists have expanded on this idea to describe transitional objects as the growth of a process which gives rise to the birth of memory, development of symbolization and creativity. It seems to me that your childhood photographs act in a way as a very sophisticated kind of transitional object which is then evolved much further in the act of painting. What would be your thoughts on this? Matthew: The photographs have played an important part in memory forming (as a child my memories of particular events were reinforced by viewing them in albums), and particularly in adulthood I have found them a window on a childhood world that I remember more in atmospheres and emotions than in clear narrative. I lived in Bangladesh until I was 12, so all of my childhood memories are bound up in the country. During my childhood I formed various attachments with stuffed toys (and a blanket) that I loved and helped me navigate the world. I sometimes think that the way one looks at an inert clod of paint on canvas, and projects emotions, desire and personality onto it is similar to the way a child might see life in a soft friend. There is something alchemical there. I want my painted figures to be receptacles that the viewer can project personality, emotion and character on to (as opposed to being simply a photographic likeness of a particular person). My brother and I used to look in mirrors together and say hello to our mirror selves – as though they lived in another world. When I paint my brother, I remember him as a buffer between me and the world. Perhaps it is this strange sense of safety/vulnerability in my relationship with him that I like to project in my paintings. In a way his remembered image (fixed in paint) functions as a transitional object. Robert: How fascinating Matthew, what an intriguing insight. Finally, I would like to ask what thoughts would you like us the viewer to take away with us after looking at your paintings? 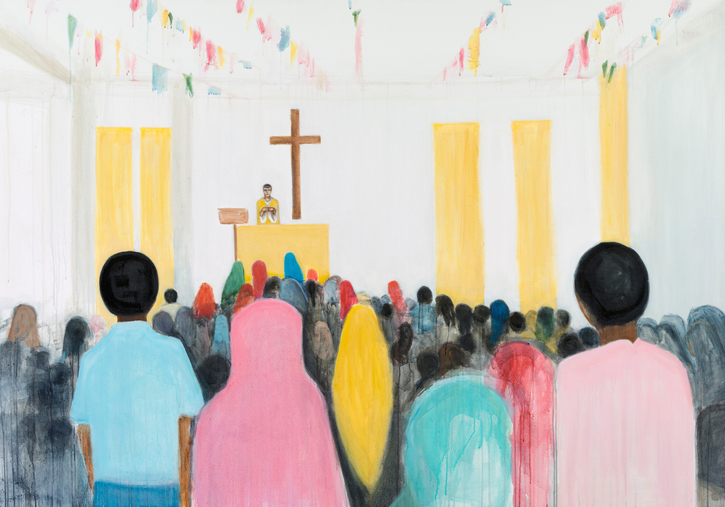 Matthew: I want the viewer to connect with the people in my paintings: to see them as real people rather than cyphers, no matter what role the figures are playing. I want viewers to get an atmosphere of the places I am depicting, and perhaps to be curious about what part of the world I am showing in the painting. I also want the viewer to sense the complications: that the scenes depicted are not always ones of innocence, that there are historical and cultural currents at play, and that the childhood world is easily punctured by adult constructions and beliefs. Most of all I want people to be excited by the possibilities of paint: what has not been painted before, how individual paintings relate to a world of paintings throughout history, and the particularities of what paint can do that no other medium can – even in terms as simple as a fortuitous drip or an oily lump of colour. Robert: Thank you so much for sharing your thoughts on painting so openly with us, it has been really illuminating.